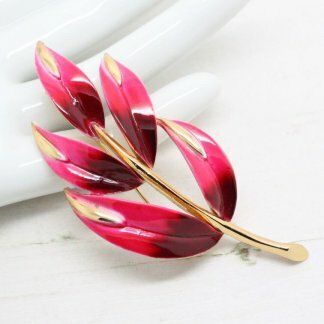 Description: I’m happy to offer this beautiful genuine vintage brooch dating late 1950s, early 1960s. 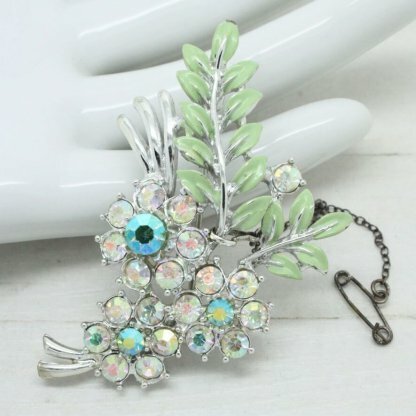 It features bright shiny AB rhinestones with soft green enamel. 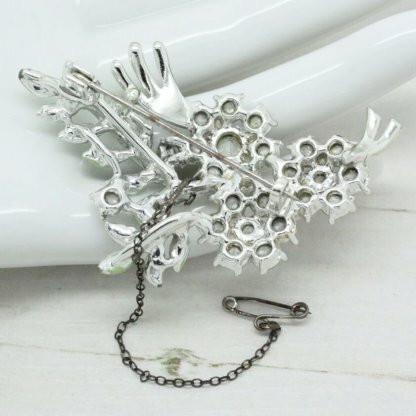 With a floral design this brooch is both pretty and individual. Measuring 5.8cm at longest point, it has a C clasp to the back – complete with original safety chain pin. Silver plated setting and rhinestones both bright and clean, enamel is 95% perfect as shown in photo. 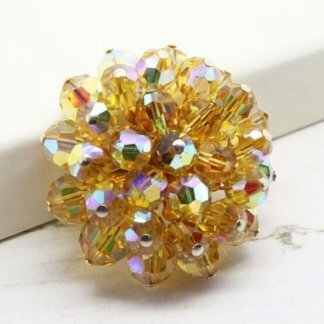 Add this stunning brooch to any outfit for instant sparkle. 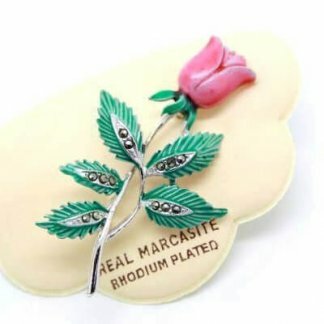 Collectable, wearable, and suitable as bridal jewellery.